Can you introduce your lovely label, and where the name came from? 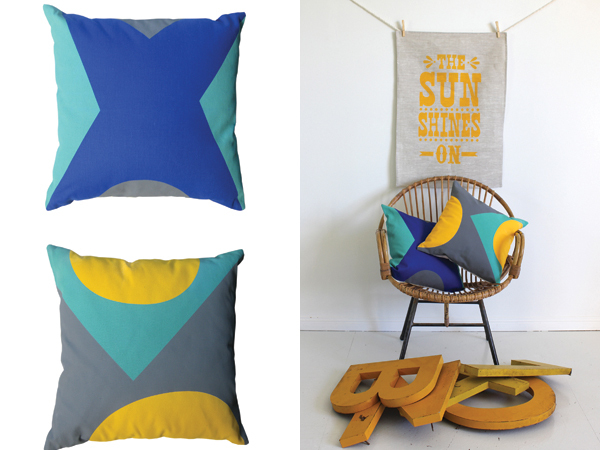 Hi I’m Leah Bartholomew and Beneath The Sun is my new homewares and stationery label. 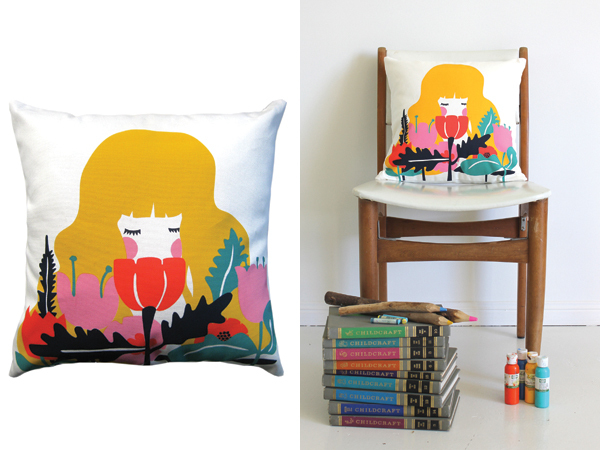 The range includes cushions, tea towels, pillow cases, gift cards, wrapping paper, art prints and some pottery. Hailing from Northern NSW, the name comes from the warmth and sunniness of the beautiful surrounds of this place. What is your background and what were you doing before Beneath The Sun launched? After finishing my Fine Arts degree in Brisbane and Lismore and a year of living in the hills, I took off to Melbourne where I did Graphics and screen printing at RMIT and scored a dream job with well loved designer Beci Orpin working side by side in her studio since 2006. I was privileged to work with some incredible clients doing textile designs, t shirts, illustrating books and making props for kids video clips. It was a great all round studio experience and Beci and I shared a similar way of seeing things, often stoked to show the other something or someone they had discovered. What do you love about having your label, and what has been some of your challenges? The time had come where I just couldn’t do another Melbourne winter and I was longing to return to my home town in the Tweed Valley. I found a beautiful place in the hills and was able to set up a studio from home, I think this has been the best thing about starting the label. It’s been great to be able to make all the decisions and decide the artwork, rather than answering to a brief set by a client.. 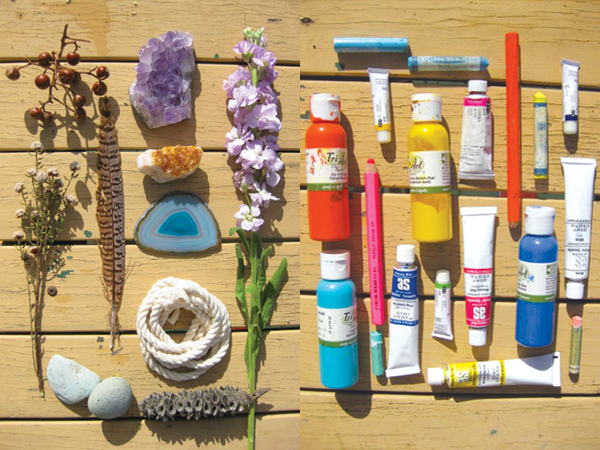 I can sit down and do my favourite things, painting, designing, drawing, collaging and make it into a product that hopes to bring some of the sunniness and brightness to the customer. The biggest challenge has been balancing my freelance design work with the time I want to give to the label. You made the recent move back from Melbourne to the Gold Coast, what do you love most about your surroundings? The fact this place barely gets a winter! Sunshine suits me fine. I love the amazing beaches just down the road, the colours that constantly change over the hills off my balcony, being able to buy good food from honesty boxes, getting local makers for the products with really environmentally sound practices and my pottery class with a group of older women, where I get incredible stories weekly from June and Nancy. During the making of my two solo art shows in Melbourne, I really felt like I developed a way of working I was comfortable with, that started to define a style. Children’s crafts like potato printing, tissue paper collage, crayons, watercolour – are used to make pages of textures and mark making and colour palettes are formed. The painterly, textured style sits side by side with bold, flat colour plains. It’s a style that combines my art making with my design. 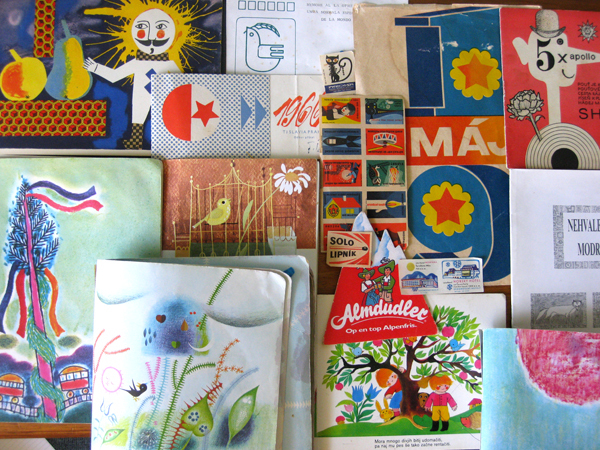 Apart from the themes of optimism and nostalgia that are found constantly running through my work, other big influences have been my love of Eastern European book illustration and the awesome designs in 70’s graphis magazines, not to mention all the amazing stuff I get to see other people working on all the time. What can we expect from Beneath The Sun at the upcoming FK Brisbane markets? The Finders Keepers market will be the first market for the new label. Expect to see all the bright, colourful products in the homewares and stationery range and limited edition art prints as well as one off pieces of pottery: geometric hanging pots and vases. Keep an eye out for the launch of the blog and online shop in the meantime, contact hello@beneaththesun.com.au to sign up for any upcoming news. This week will see the updated launch of my folio site as well. 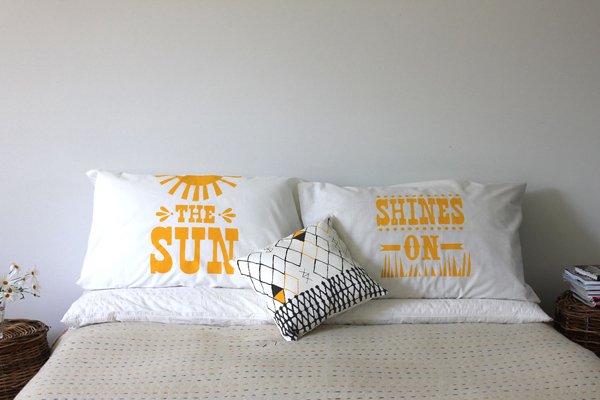 ooo I LOVE the prints, those pillow cases are just perfect! I hope you are going to be at Sydney too! I love your colour palette Leah! 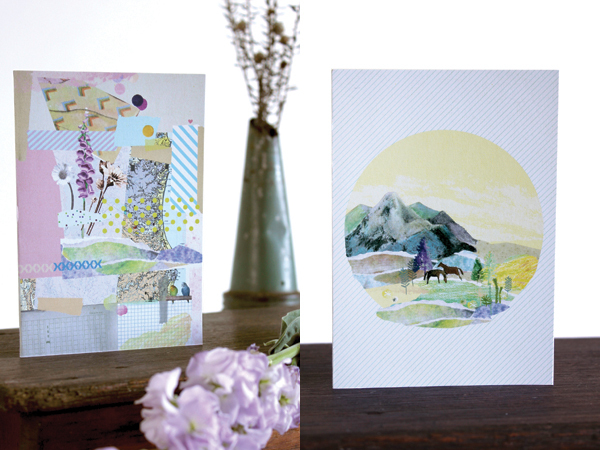 The bright and cheery tones would look great in a children’s room or nursery. Look forward to seeing how your work evolves and what you do next!